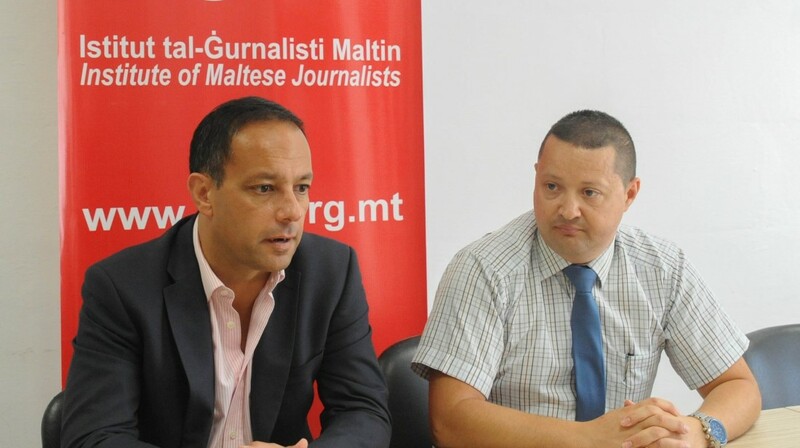 Valletta 2018 Foundation Jason Micallef and Malta Institute of Journalists Chairman Karl Wright at a press conference earlier today. The Malta Institute of Journalists in collaboration with Valletta 2018 Foundation has launched two awards with the aim of acknowledging local media coverage regarding the valuable work carried out by the Foundation. The launch took place this afternoon during a press conference headed by Malta Institute of Journalists Chairman Karl Wright and Valletta 2018 Foundation Chairman Jason Micallef. Karl Wright explained that through this initiative the Malta Institute of Journalists is furthering its investment in a new sector in order to recognise the work of local professional journalists while motivating positive reporting that seeks to educate on cultural matters. Jason Micallef revealed his pleasure of endorsing the proposal submitted to him earlier this year by the Malta Institute of Journalists. He also described local media coverage as very good and useful. Finalists shall be announced during March 2017. The respective winners shall be announced in May 2017 during the final night of the Malta Journalism Awards.